The head of the state is turning into the real opposition leader, at a time when the latter still enjoys very low approval ratings. This is also confirmed by PM Edi Rama, who despite his heavy irony, admitted last night that “the truth is that Ilir Meta is the most serious opposition leader”, considering the so called “paperwork” which, according to the president, prove the government’s violations, are nothing more than “legal” nonsense. The new clash which this time focuses on a social class that in the past three months has been living in fear of being thrown out of their homes, concerns the so called new ring road. A story filled with protests, state and private scandals. A project which has been objected by the opposition and residents and which culminated at the end of last year in the unprecedented scandal regarding the multi million euro tender that was won thanks to forged documents. This whole situation has become a cause for concern for the head of the state, Ilir Meta. He said that he’s closely following the conflicting situation between residents and authorities which was provoked by the road project at the new ring road in the capital. The president said that he has often received letters, complaints and other evidence provided by residents of the new ring road, through which they object the realization of this project. Yesterday, president Meta had a meeting with a group of residents of the ring road, who have voiced their concerns and their objections, while offering the president a number of elements which, according to them, are considered to be problematic. The president said that it’s been three months that he has asked authorities to show responsibility and transparency on these issues, demanding the government to talk to residents, while stressing that the rights of residents are guaranteed by the Constitution. According to Meta, their rights have been breached; therefore he claims that he has demanded from Attorney General, Arta Marku to follow up this case and investigate the concerns that some Albanian-American citizens have voiced about the violence and psychological pressure that state authorities have used on them. Meanwhile, president Meta has also sent a number of letters to several ministers; however, he says that it’s been 75 days that he has not received any replies, claiming that he’s been ignored. The president of Republic says that “this sort of behaviour manifested by public institutions in refusing to provide the information that the head of the state has requested, is not normal for state institutions in a democratic country”. Mr. Meta says that “the heads of these institutions have committed a serious violation of article 92/h of the Constitution and legislation in power which guarantee the right to information by denying the president of Republic of this information”. 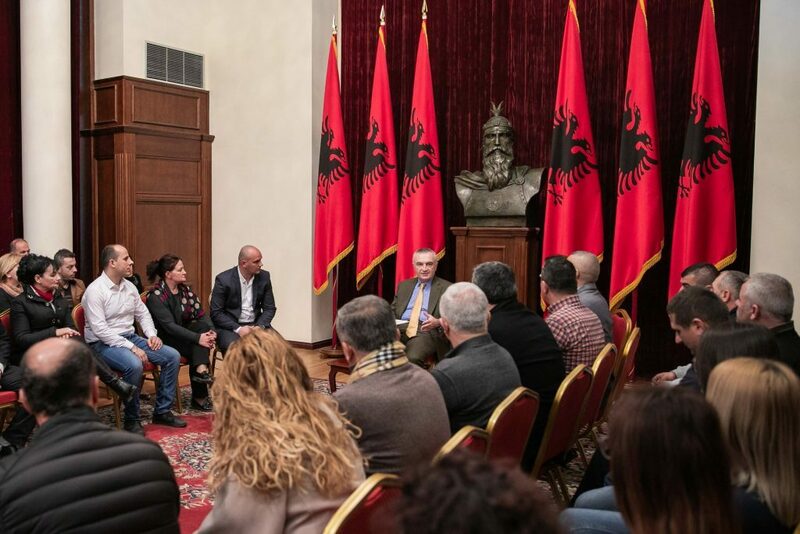 Meta says that “by denying the president of Republic this information, has strengthened the conviction that the project has been lacking transparency in every step of the way, constituting a violation of the constitutional and legal order in the Republic of Albania”. After listing the numerous legal and constitutional breaches, Mr. Meta also says that “after evaluating the extreme unlawfulness caused by the malfunctioning of state institutions, I have come to the conclusion that this issue needs a final solution”. As a result of this, the government needs to show political will and take several urgent measures, including the annulment of the project and every procedure of procurement that has been implemented based on the existing project in order to safeguard public finances and prevent any negative effect on the public’s interest. The president has also demanded a new project to be launched in order to offer a better technical solution for urban development in Tirana. After setting out a number of other demands, Meta also says that “the government needs to examine the legal basis concerning those cases where residents are lacking some of the legal documents in offering them adequate compensation for their properties”. According to Meta, “where there’s a will, there is a way”.